Horcruxes are inconspicuous objects in which a dark witch or wizard hides part of their soul. To hide a portion of the soul, the witch or wizard must rip the soul in two. The only way to do this is to commit the ultimate evil act — murder. While a Horcrux exists, the witch or wizard can’t be killed. However, by ripping the soul they become, “less than human”. The concept of Horcruxes was introduced in the sixth book, Harry Potter and the Half-Blood Prince. Lord Voldemort (Tom Riddle), the darkest wizard of all time, is known to have created seven Horcruxes. Over the course of the Harry Potter novels, these Horcruxes were destroyed and Voldemort became mortal once again. This Horcrux was first introduced in the second book, Harry Potter and the Chamber of Secrets. It was created when the student Tom Riddle killed Moaning Myrtle. After the portion of soul possessed Ginny Weasley, it was destroyed by Harry in the Chamber of Secrets using the fang of a Basilisk. 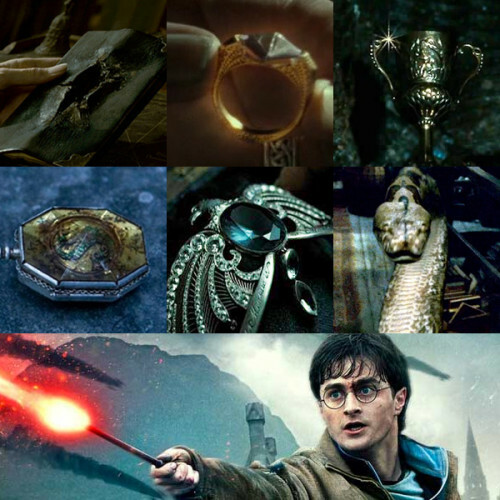 This Horcrux was created when Tom Riddle killed his father, Tom Riddle Sr. Dumbledore recovered the Horcrux from the house of Gaunt and destroyed it using the Sword of Gryffindor. The curse in the ring poisoned the Hogwarts headmaster, ultimately leading to his death. This Horcrux was created when Tom Riddle killed Hepzibah Smith. 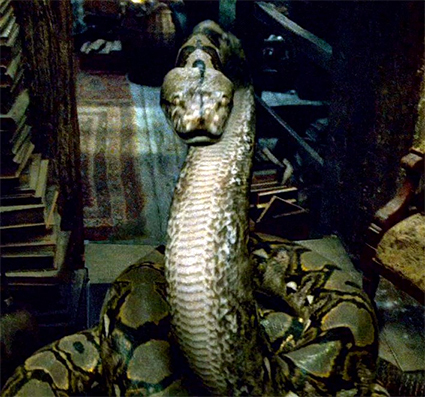 It was kept hidden in Bellatrix Lestrange’s Gringotts vault and destroyed by Hermione using a Basilisk fang. This Horcrux was created when Tom Riddle killed a Muggle. It was stolen from the Dark Lord by Regulus Black (brother of Sirius Black) and ultimately destroyed by Ron using the Sword of Gryffindor. This Horcrux was created when Voldemort killed a Muggle in Albania. It was hidden in the Room of Requirement and inadvertently destroyed by Vincent Crabbe using the cursed fiendfyre. This Horcrux was created when Voldemort killed Ministry of Magic employee Bertha Jorkins. It was destroyed by Neville Longbottom using the Sword of Gryffindor. When Voldemort attempted to kill Harry Potter, a portion of his soul was inadvertently transferred to Harry, making him a Horcrux. Voldemort was unaware of this Horcrux. 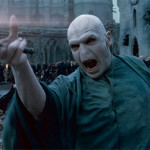 Voldemort destroyed this portion of the soul when he attemped to kill Harry in the Forbidden Forrest in Harry Potter and the Deathly Hallows. Professor Quirrell become a “temporary Horcrux” when Voldemort possessed him in the first novel, Harry Potter and the Philosopher’s Stone. It was destroyed at the end of Harry’s first school year at Hogwarts, along with Quirrell.